Mechanical Engineering in our college Accredited by NBA for Three Academic Years (2018-19 to 2020-21 i.e, up to 30-06-2021). Established in the year 1999, the Mechanical Engineering department of MES College of Engineering, Pune with its team of dedicated, qualified and experienced faculty, offers a sound programme at both UG and PG levels. The department aims at providing a valuable resource not only to the industries but also the society through excellence in technical education and research. To inculcate and foster Research abilities of students through staff, department always encourages departmental faculty for externally funded projects by Govt. agencies like BARC, BCUD, University of Pune, etc. and also by leading industries in and around Pune.MESCoE had exclusively signed MoU with ZF Steering India Ltd, BAKER Gauges Ltd, etc. for collaborative research work as well as development of laboratories, etc. for overall development of its students and departmental faculty. 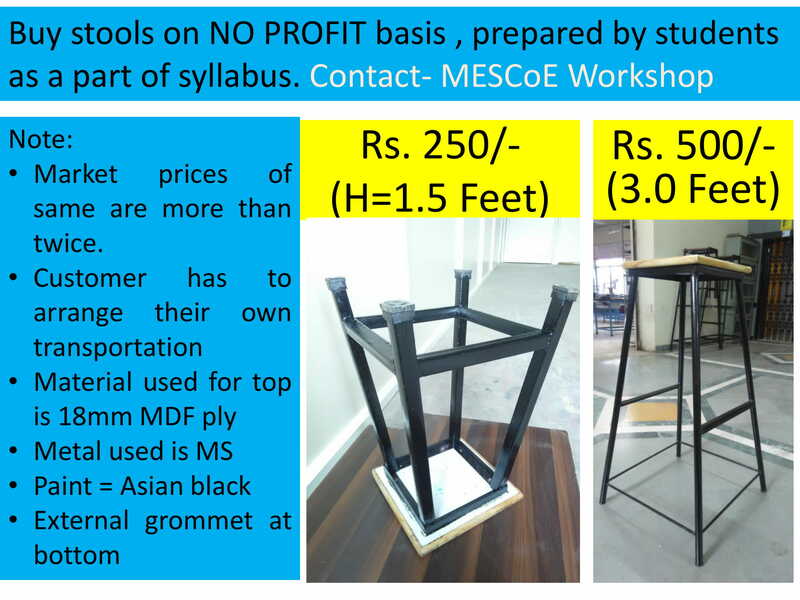 The recently renovated and modernized 'BAKER-MESCoE Metrology Laboratory'that is fully equipped and designed as per industrial standards with modern and state of art equipment is now more in line with the industrial needs. To keep abreast of the technological trends the departmental faculty undergoes a number of programmes and refresher courses and participates actively in seminars and conferences. Mechanical Engineering department always strives for Industry-Institution Interaction, Alumni interaction for industrial visits, campus placements, guest lectures, etc. for best guidance for our students.With rich hardware and software resources and collaborative projects with the academia and industries, the department aims at providing an elite workforce of future leaders in myriad areas like manufacturing, designing, quality management and marketing. Many of its alumni occupy key positions in industries and institutions in India as well as in abroad. The department is proud to be collaborated with well-known industries in the sector.